Last weeks open evening for former and present pupils to attend to see the old building before it is replaced by the new School under construction right in front of the old building right now, many memories were shared, old faces recognised and friendships over the years were rekindled at the school which was opened in 1960 and has seen many generations of Foxbar youngsters attend the school. Many thanks to Fiona McCreadie for the photographs. Thanks to Norma Connelly & Mrs Gavin, Louise Maher the head teacher who organised the celebration evening. 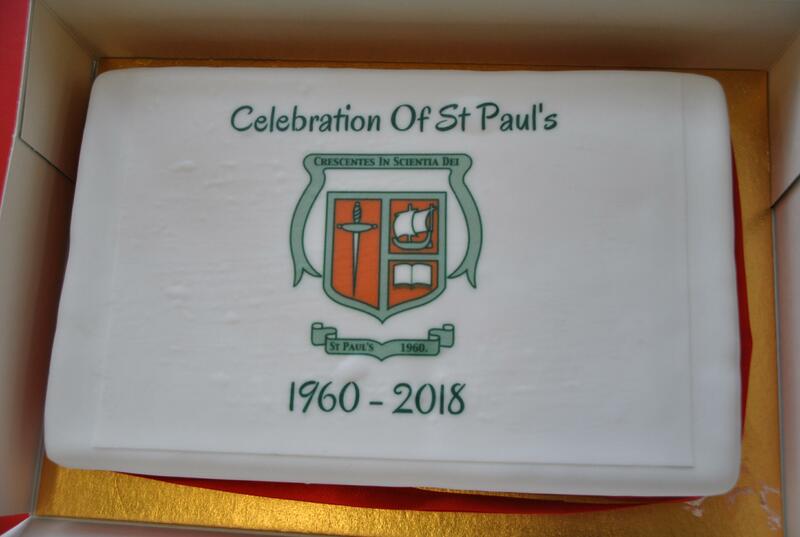 What a fantastic evening we had to celebrate the 58 years of success of this school building. Huge thanks to all those who turned out, around 300 over the course of the evening. I am sure you will agree that Fr Joe Burke, celebrated a beautiful mass and there has been great feedback about how valued and appreciated this event was by many people. Thanks to the staff who worked hard to prepare especially Mrs Connelly, Mrs Gavin and Mrs Nicholson and also to Mrs Scott from St Andrew’s Academy who supported us with music preparation. The liturgy of the mass made this a truly memorable event. The psalm was beautifully sung by the Welsh family and the parent council helped serving refreshments to the many visitors. A real community event and a wonderful atmosphere. Hopefully will have many more events to come. Goodbye St Pauls old building hello new..